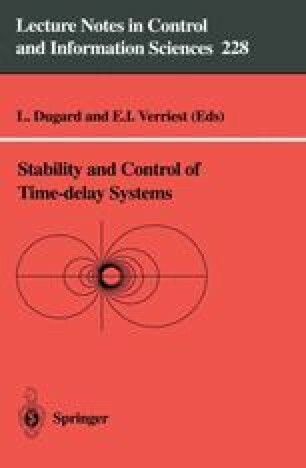 This chapter deals with the stabilization of linear continuous-time systems with time-delay in the state and subject to bounded inputs. A saturated state feedback control law is used. Sufficient conditions addressing the local stabilization of such systems are proposed. The methodology consists in determining some domains of safe admissible states for which the stability of the saturated closed-loop system is guaranteed.